Everard Digby, De arte natandi libri duo (London: Thomas Dawson, 1587). Everard Digby was admitted to St John's in 1567 and became a Fellow in 1573. 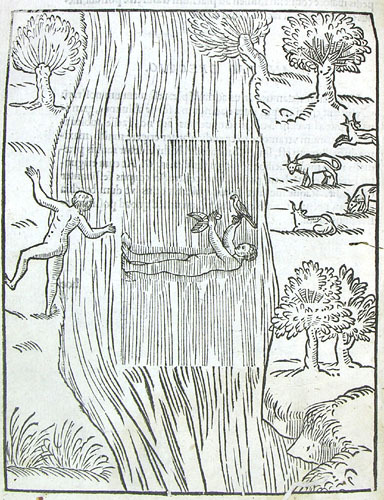 His best known work is this book on swimming, the earliest such work to be published in England. 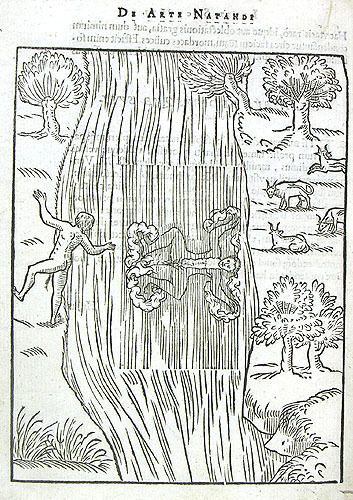 The illustrations are composed from five landscape blocks with swimmers in different positions inserted in the middle. Digby was deprived of his Fellowship in 1587 partly on account of his habit of blowing a horn and shouting in College.